There has been quite a bit of talk about keeping the Sabbath day holy. In August I had the opportunity to attend BYU’s Education Week. While there, I attended a wonderful class that was taught by Lani O. Hilton. I was only able to attend one day, but the day I attended was focused on the Sabbath Day. Since then, I have read several talks and articles concerning the Sabbath Day. Today I am going to share some things I have learned and how we can be better at obeying this important commandment. Before I begin I want to say that the activities and ideas I share today are things that I have heard or read about, and have decided that they are activities/ideas that I would like myself and my family to do. My ideas of keeping the Sabbath Day holy may not align with your ideas, these are my ideas and opinions. The last month and a half, I’ve taken time to read more talks and articles on the Sabbath day. One that I read that really made me think about my own Sabbath day observance, was President Kimball’s talk titled, “The Sabbath-A Delight”. So, what are you doing personally and as a family to Keep the Sabbath Day Holy? A year or so ago my son asked if he could play video games on Sunday. I’m embarrassed to say that we agreed that as long as the games were ‘family games,’ he would be allowed to play. Every single game quickly became a ‘family’ game. Our son was trying to justify that playing any game was ok and was considered a family game. I’m happy to report that since then we have decided to take ALL electronics away on Sunday (except when we watch Mormon Messages or Bible videos on the T.V.). Do we try to justify the things that we often do on Sunday, as appropriate activities for the Sabbath day? Why? Why are we denying ourselves the blessings we could receive from obeying this commandment? For instance, my blog. I blog Mondays through Fridays, and sometimes on Saturday. But on Sundays I don’t answer emails, I don’t post, I don’t share anything on Facebook, etc. Now to some, this may not be a big deal, but to me it is my work, so I choose not to do anything pertaining to my blog. I blog every other day of the week, so in order to make Sunday a special day I have decided to not blog. Back in August, after I returned from Education Week, my husband and I decided that we needed to think more seriously about our Sabbath Day observance. We decided to have a FHE about that, and discuss the activities that we will do on Sunday. 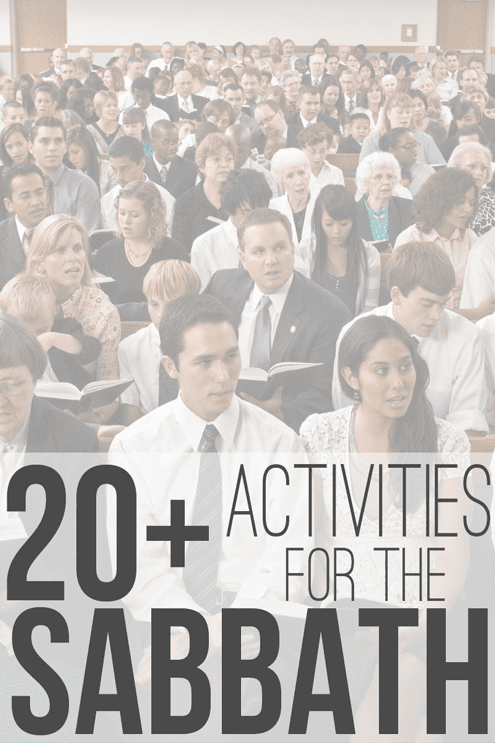 So, back to the question, “What are you doing personally and as a family to keep the Sabbath day Holy?” Here is a list of some great ideas and resources that you could use to help your family do just that! Pictionary: draw clues/pictures about different scripture stories. 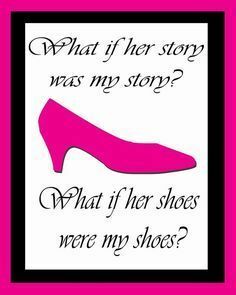 Then discuss the story and ask what the principle is. Charades: similar to pictionary, but without the drawing. For this you will be acting out the scripture story. You could split into teams and have several people act out a story. This is one of my children’s favorite activities. 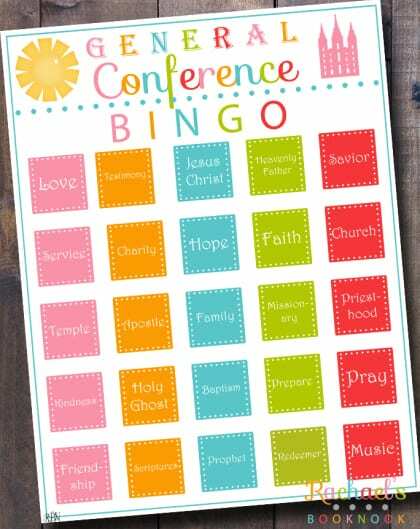 Just write down a few gospel themed words and play! You could have people from the scriptures, prophets, songs, principles, etc. 20 Questions: Have one person think of something. It could be someone from the scriptures or a latter-day prophet. You could even have them think of a scripture story or a gospel principle. Everyone else will take turns asking a question which can be answered with a simple “Yes” or “No.” Ask until the answer is guessed or until all 20 questions have been asked. If 20 questions are asked without a correct guess, then the answerer has stumped the questioners and gets to be the answerer for another round. Have everyone turn in their answers to the person that chose the word. Have the person shuffle the answers, & then read the answers aloud. go around & have everyone vote on which answer they think is the real answer. Keep score by marking how many votes each answer receives. The person with the most votes wins! Example: Let’s say I am the one choosing a word. I decide on Wimple. A payment of some sort. The definition can be anything! I (the person that picked the word) also write down the word and the correct definition onto an answer sheet. Everyone then turns in their answer sheets to me (the person that picked the word). I shuffle the answer sheets a little, and then begin with Answer #1 and read it aloud. Most of the time you will read through the answers several times. Just be sure to keep the answers in the order that you first read them. You can number the answer sheets to help you keep track of which is which. After I have read through the answers I will start taking votes. Ask how many votes for answer #1, and then tally how many votes it gets. You don’t want to give your answer away because no one will vote for it then. The answer with the most votes WINS! You can keep score by awarding one point for every person that votes for your answer. And if someone votes for the correct answer they get 2 points. If no one votes for the correct answer, then the person that picked the word gets 5 points! This is a great game, and can get pretty silly. After you have revealed the true definition, you can read the scripture where the word is found. 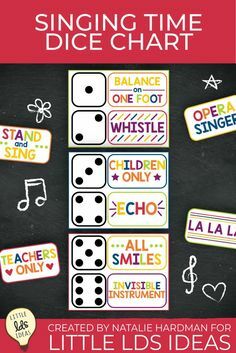 Rachael’s Book Nook BINGO sheet (This sheet would be great for older children since it doesn’t have pictures for the squares). Bits of Everything BINGO Sheets (These include pictures). Family BINGO Sheets. I created these for a Sharing Time, but you could use them for your family. Book of Mormon Spot It! : My kids LOVE spot it! 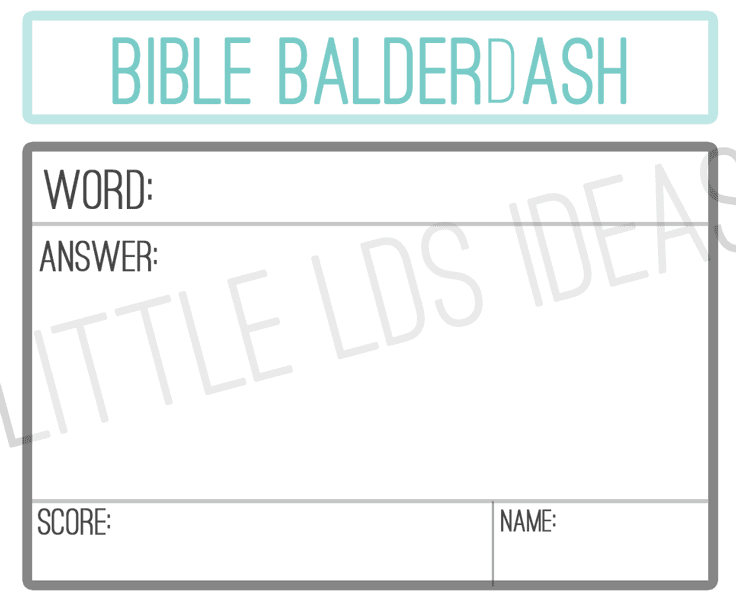 My friend, Jessica from Latter-day Chatter, created this great Book of Mormon Spot It! game. It’s available for purchase in her Etsy shop, here! Gospel Word Search: Did you know that you can create your own word finds online? I use THIS SITE whenever I need to create a word search. You are able to add a title, decide how many rows/columns, and what words you would like to use. You could do gospel themed words or you could have scripture mastery scriptures with a missing word. Have them look up the scripture to figure out which word to find. You could also do a similar word search with Articles of Faith! Indexing: Have you tried indexing? If you have older children this would be great to do. You can use the website or download the app. Get the whole family involved and have an indexing party. Family History Live- interview parents, grandparents, other family members: Visit or call your family and have your children ask questions and record the information. 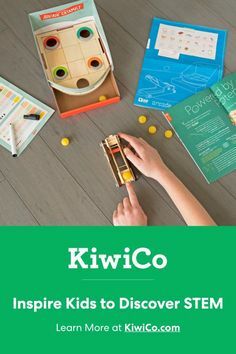 You could also turn it into a fun activity by having them create microphones and pretend their news reporters. Have them ask questions about your childhood. If you have a camera you could take it a step further and record the interview. My children would LOVE doing that. Watch Family Videos: another favorite in my family. My children love watching home videos of when they were babies. If you don’t have any family videos then create some. Children.lds.org: online games and activities for children. Great site! Scriptures.lds.org – movies with continuous play! Mormon Messages: My children love to watch Mormon Messages. I don’t know how many times we have watched ‘The Coat’. There’s also a Mormon Message for Youth! LDS Kids Video App: This is a great mobile app packed full of LDS age-appropriate videos! Last summer, LDS member Lesley took a mobile app class at BYU-Hawaii and decided to create an app for her son to use to enjoy Sunday appropriate activities. She wanted her son to watch all the great videos created by the Church to teach him gospel truths and invite the spirit into their home. But that meant she had to help him find and navigate to a new video every few minutes. It was frustrating and he lost interest quickly. So she decided to create an app that was easy for children to navigate through the videos on their own. This is a great app! My kids have really enjoyed it. It’s nice to have everything in one easy app. Be sure to take a look. You can also follow Lesley’s Facebook page: LDS Kids Video, HERE! Find the LDS Kids Videos app on iTunes. The app is free and also has an in-app purchase. The app is only available for Apple iOS. Church Magazines: This is pretty self-explanatory. If you have small children have a stack of ‘Friend’ magazines for them to use and to study. There are great games and activities as well as wonderful stories that they could read. Conference Issue: Order multiple copies for members in your family. Choose a talk to study each Sunday. Then pick a day to discuss with your spouse or family what you read and learned. Conference Quote Search: This would be great for older children. Take turns having someone find a quote from a conference talk. Then have everyone else search through the Conference issue to find it. Once everyone has found the quote, highlight it and then discuss the quote and/or talk. This is a great way to review the Conference talks! 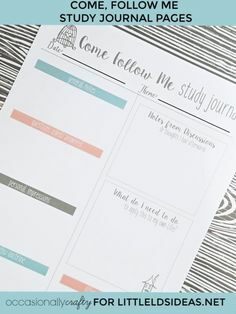 Keeping the Sabbath Day Holy Scripture Study Journal from Chicken Scratch N Sniff: Grow your testimony and understanding of the Sabbath with this 2 week (15 day) Study Journal. This study starts at the creation and ends with ways to make the Sabbath a delight. If you’re looking to improve your Sabbath observance, this is a great way to do it! My friend, Camille, created this study journal. Visit her blog, HERE to take a look! 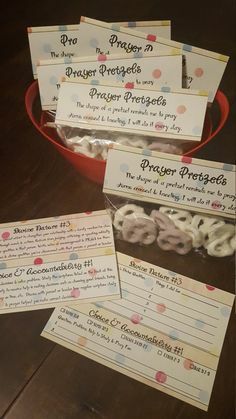 Book of Mormon Stories for Toddlers & Children: This is a great printable from Jessica of Time Savors. 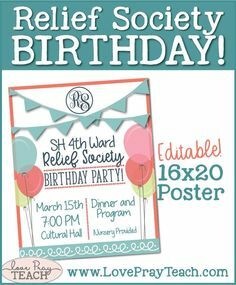 She has an Etsy shop where she sells her scripture story printables. She includes the stories, quizzes, and BINGO cards! I own some of her scripture stories and have really liked them. I laminated ours and have my children use dry erase markers on the quiz pages. Here’s her Etsy shop to see more! Manuals & Scriptures: Sundays are perfect for preparing lessons and for studying the scriptures. It can sometimes be hard to do this during the week, so why not take the time on Sunday to study and prepare. While you study the scriptures include your children by having them read from the Illustrated Scripture Stories. If you have a soon-to-be missionary, invite them to study Preach My Gospel. Mormon Music Channel: Another thing that we do in our home is listen to uplifting music. This is a great way to fill your home with the Spirit. We listen to the Mormon Music Channel. We have the app on our phones that we like to use. Just hook it up to a speaker and you’re good to go! Music Player on LDS.org: Have you taken a look at the Music Player on LDS.org? It’s a great tool to use. You can use it on your desktop or download the app for your phone! Hymns & Scriptures: Have your children find their favorite songs in the Hymn book or the Children’s Songbook. Read through the words of the song and discuss what it says. Then take a look at the scriptures listed at the bottom of the page. Read the scriptures and discuss. You could even turn it into a game, Hum Your Favorite Tune! Have someone pick a song, and then have them hum the tune for everyone. Once someone has guessed correctly read the words of the song and the scriptures listed. 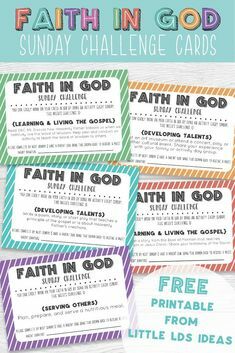 Sundays would be a great time for your children to work on Faith in God, Personal Progress, Duty to God, or any other challenge that they have been given. You could even take time to review the ‘For the Strength of Youth’. You’ve got a list of great activities, but now what? You need a schedule…a plan! 4th Sunday: Individual Interviews, Faith in God, For the Strength of Youth, Personal Progress, Duty to God. If they have church from 9 am-12 pm they would do activities from 2-3 pm, 3-4 pm, and then have family time. If they have church at 11:30 they do activities before church from 9-11 am and then after church from 3-4 pm. For the 2-5 block they do activities from 10 am-12 pm, and then have family time until it’s time for church. These are all examples that Sister Hilton provided. It’s not exactly the way I would do it or probably how you and your family would do it. But I love the idea of having a plan and a schedule. Just like my weekly menu, if I don’t have it planned I’m usually not prepared. I feel it’s the same way with Sundays. Last Sunday my kids and I decided to watch Mormon Messages, but it ended up being hours (at least it felt that way) of sitting on the couch watching Mormon messages. Yes, those are great videos, but I don’t think we need to sit there for hours watching messages. Take some time this week to sit down and make a plan and a schedule. Use the ideas I shared today, or come up with your own. There are so many great ideas out there. Get your family involved and come up with a plan together. I would love to hear how you plan on making the Sabbath a delight. Do you have any traditions that you and your family do? Leave me a comment and let me know. I love all your Sunday activity time suggestions. I want to share what I would do in a perfect world on the Sabbath as an empty nester! I would read and ponder the lessons for the following Sunday in regards to Sunday School and Relief Society and especially if I am teaching one of those or Primary. I would read an article or two in the Ensign and a conference talk from the conference issues. I would enjoy family time with my children and grandchildren and I would go home teaching with my husband as his partner. If my world ever becomes perfect I would do all those things and maybe throw in a nap. But for now, I am definitely thinking about the things I can do to keep the sabbath day holy! I did study the Sabbath Day in the topical guide and I was impressed that the commandment is required of the Lord’s covenant people. When you look around the world today who even talks about keeping the Sabbath holy? Only His covenant people. We are blessed. Awesome list of ideas. We’ve recently talked about this again and made a goal for this month to help us improve. Each month we’ll add something else. I’m hoping we can also notice the blessings that come as result and talk about those too. 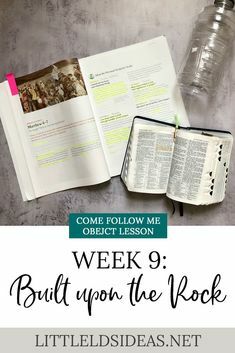 So many great ideas for the sabbath!! Thanks ? Oh my goodness! This post must have taken you forever! It’s so comprehensive!! I love your thoughts about not blogging on Sunday, I hadn’t really thought about it and now i’m going to give that some consideration. Sometimes Sunday is truthfully the most stressful day of the week for me with primary and hauling the kids there by myself a lot and my baby missing his nap and on and on and on. So I get a little blue when we talk about the sabbath being “a regenerative day” and all that jazz. I have learned I have to take moments throughout the week to energize me (watch confernece while i fold clothes) b/c I usually can’t get that fulfillment on Sundays. Thanks sheena!